"Stealth Pop" refers to pop music that sounds simplistic, easy and nice (both pretty and precise) at first listen –music that you might balk at because you, dear reader, have more sophisticated tastes. HAIM are a recent example of a "Stealth Pop" band: easily digestible tracks that only over time reveal their subtlety, imbedding themselves in your ear. Suddenly, and maybe unexpectedly, you're a full-blown fan. 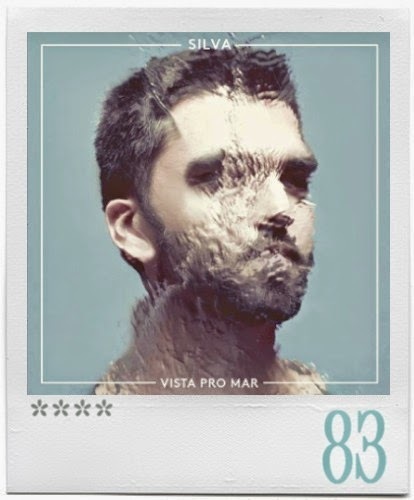 It's a term we might have just made up, but it seems apt when describing the tunes of Brazil's SILVA, here with his sophomore LP, Vista Pro Mar. Like the aforementioned LA sisters, SILVA comes with a fully-realized sound of his own, even though he borrows heavily from late-70s and 80s pop: atmospheric synths; chiming disco hooks, funky bass lines, saxophone solos; bridges that build and climax; hand claps, clicks and earnest oohs/ahhs. This multi-instrumentalist from Vitória unashamedly celebrates nostalgia, incorporating the essence of popular music from the past into an electronic present –visiting a horn section or crashing piano from time to time. Folded through this is his appreciation of Brazil's own musical styles, including the cliché bossa nova, and 'tropical' instrumentation: track "Entardecer" moves from James Blake-on-Ipanema Beach to a reggae outro, without breaking a genre-shifting sweat. On 2012's Claridão – SILVA's bedroom project and first LP – the artist showed a knack for creating epic, heralding melodies, among quieter, moodier tracks crafted for repeated listening. Again, with Vista Pro Mar, the 25-year-old (!) shifts around with immediacy and intimacy, but with the through-line of the sea (seaside sound effects fill the gaps between songs): sometimes he's on a precipice overwhelmed by the horizon, other times, he's picking his guitar by a beach bonfire. Unlike Claridão, Vista Pro Mar's melding of styles doesn't deviate from a singular, signature sound. Where it was hard to introduce a 'typical SILVA' track to new listeners from the first album (the single "A Visita" was glorious, except it sounded nothing like the rest of the album), with each track on this one, the newbie gets a more succinct example of SILVA's aural-vision. SILVA's vibe is one that yearns for existential joy –a why can't life always feel this good naivete that seems opposed to the doleful, Portuguese folk fado, but actually exists on the same spectrum. The warm, lushness of the eleven tracks on Vista Pro Mar only masks this underlying sadness. SILVA will make you smile because you get his romanticized will to stay happy. Though we might find the sax solo on bopping single "Janeiro" a blissful trip down memory lane, the irony of how a saxophone was originally used in mournful love songs is not lost. Listen to how the beats of "Disco Novo" posture 80s high school seriousness, as the protagonist asks a crush to listen to a mix-tape. On "Capuba," SILVA reaches an Alex Anwandter level of Chilean new wave disco smarts, mixing the mirror ball with heartfelt longing. 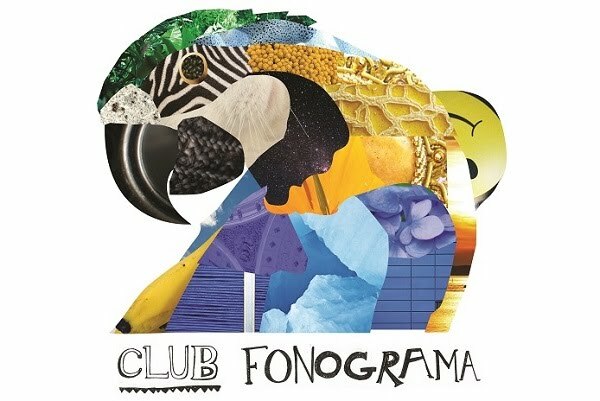 We don't get too many Brazilian acts playing on the Fonograma stereo, which makes it all the more exciting to promote one as talented as SILVA. That his music is still resolutely Brazilian is promising –Fernanda Takai duet "Okinawa" offers, at least superficially, a current cultural snapshot of the nation, for example. Tapping into the country's ocean of musical styles and history seems only logical, but breaking free of the World Music tag and turning a myriad of influences into a sneakily near perfect pop record is SILVA's and Vista Pro Mar's greatest achievement.